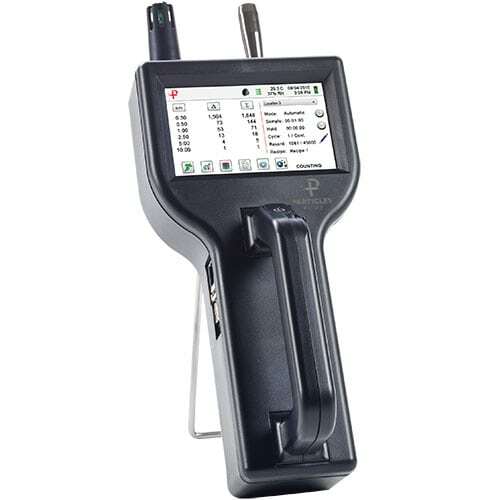 The Particles Plus 8303 Handheld Particle Counter measures 0.3 to 25.0 μm with a flow rate of 0.1 CFM (2.83 LPM). All Particles Plus counters meet ISO 21501-4 and JIS B9921. The 8303 ensures compliance with an on-board pulse height analyzer. 1 year warranty. Extended warranties available. Warranty 1 Year. Extended warranties available.